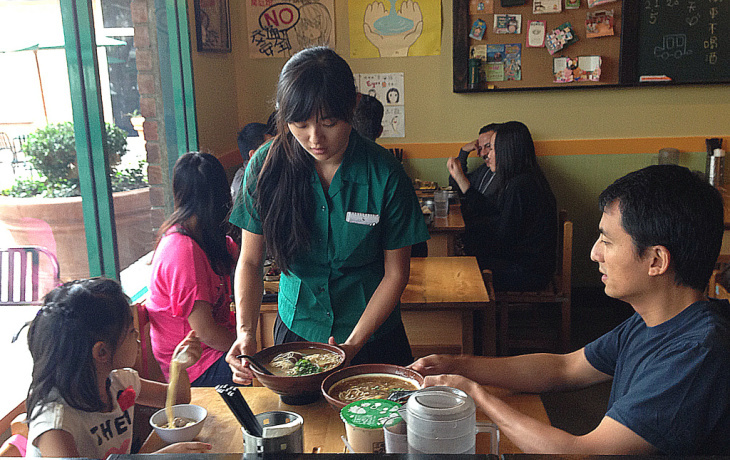 A server dressed as a Taiwanese schoolgirl serves noodles to patrons at Class 302, a popular eatery in Irvine. History professor Yong Chen of the University of California, Irvine says that Irvine is a "post-modern Chinatown" that Asian homebuyers are drawn to. 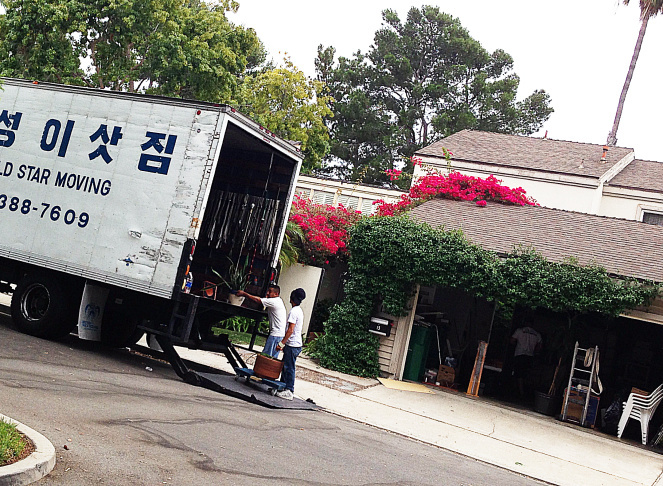 A moving company moves a family into an Irvine neighborhood. 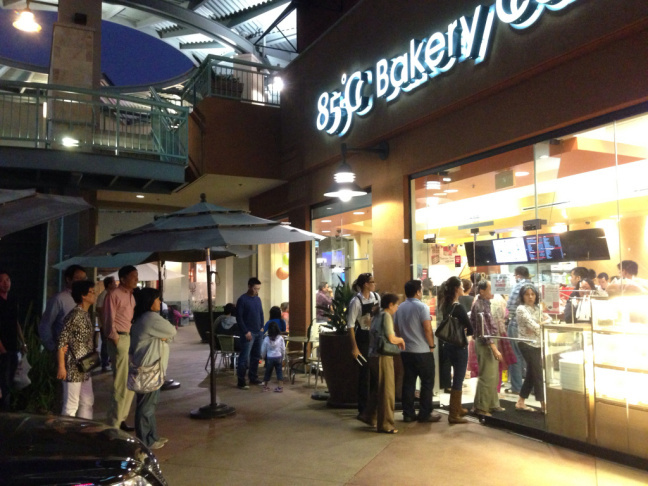 A line of people waiting to enter the 85 Degrees C Bakery snakes through the Diamond Jamboree shopping center in Irvine. 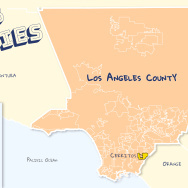 Artist's rendering of a new Great Park Neighborhood in Irvine, developed by FivePoint Communities. Promotional materials say the single-family residences "will combine classic, American Heritage architecture with thoughtful new features, such as unprecedented flexibility to accommodate families of all sizes - and all generations." 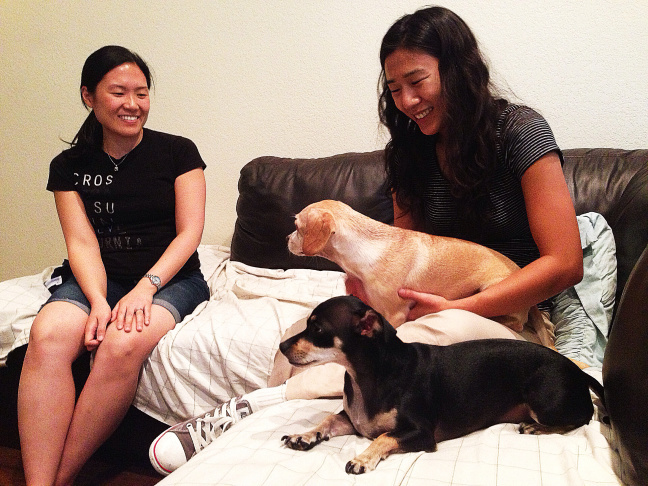 Amy Lee (r.) entertains a friend at her apartment in Irvine. Lee, 32, works as a computer systems planner and has been living in Irvine for seven years. 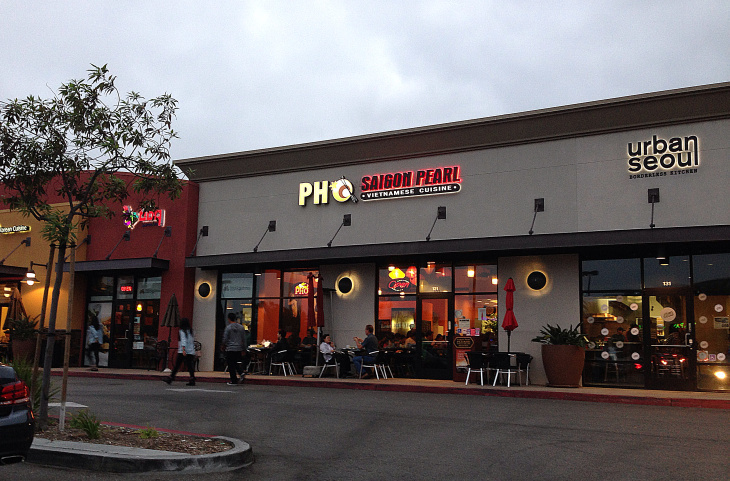 The Diamond Jamboree shopping center in Irvine features Asian-centric dining and retail stores. 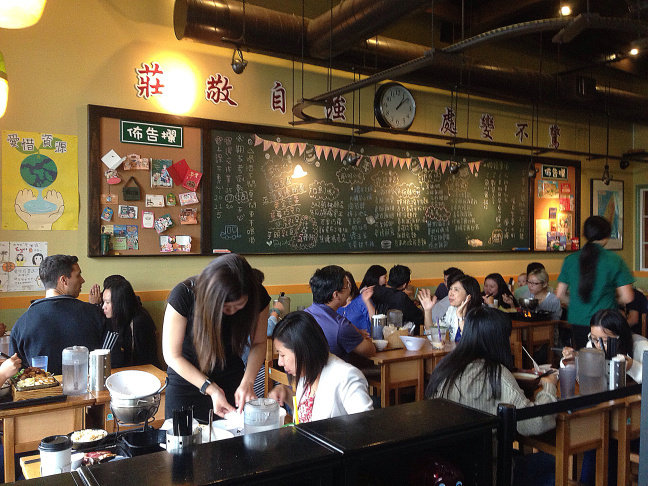 Lunchgoers at Irvine restaurant Class 302 dine on the Taiwanese street food such as pork noodles and stinky tofu. Irvine is now the fastest-growing major city in California. It also happens to be one of the hottest real estate markets in the nation -- thanks, in part, to a boom in its Asian population. Communities like Monterey Park and San Gabriel were always the place to go, but now, as KPCC's Josie Huang reports, Irvine is a top draw for Asian homebuyers. 1 in 3 SoCal homes paid for with cash: Who's buying?